Ludwig Mies van der Rohe (1886–1969), one of the 20th century’s most important architects, created numerous montages and collages between 1910 and 1965 that are fascinating illustrations of the design principles of his architecture. These works, most of them large-format, are far more than merely sketches that accompanied his creative process as an architect. They are works of art in their own right that show Mies van der Rohe’s structural vision in its purest form. 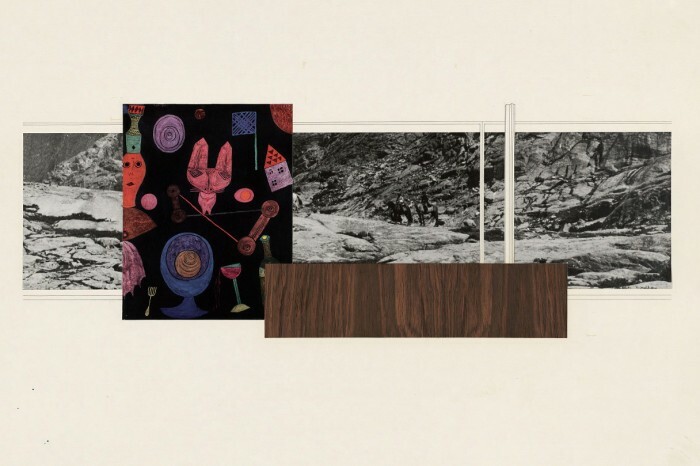 Now the Ludwig Forum Aachen has organized a first-time exhibition of this amount of collages, set in the context of modern and contemporary art and featuring about 50 loans from New York’s MoMA, the Museum of Modern Art. Like almost no other visual art technique, collage and photomontage reflect the aesthetic principles, the zeitgeist, and the attitude to life of Modernism. At the beginning of the 20th century, war, revolution and industrialization caused a shift in the way the modern world and progress were experienced and perceived, a shift that found expression in equal measure in newspapers and magazines, in visual and performing arts. Collage and photomontage were also soon being used in architecture. Influenced by Dada, Constructivism, and De Stijl, Mies van der Rohe exploited these new techniques – to a far greater extent than most of his contemporaries – to visualize his creative ideas on “New Building” (Neues Bauen).